All SPRING BRANCH MEADOW homes currently listed for sale in Spring Branch as of 04/18/2019 are shown below. You can change the search criteria at any time by pressing the 'Change Search' button below. 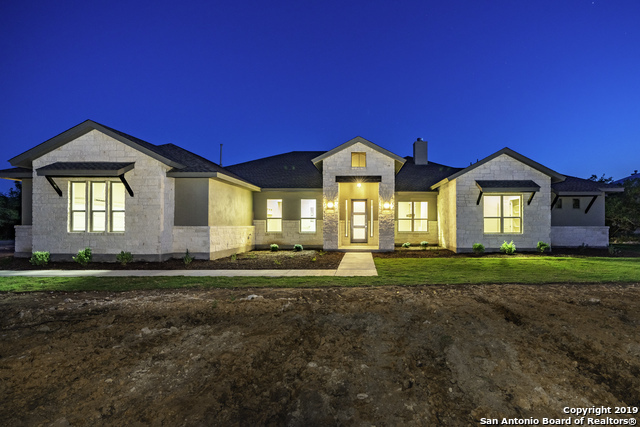 "The beautiful Brand New Custom Home boast - A beautiful master suite with his and her closets, his and her vanities, with large walk through shower and freestanding tub -Oversized secondary bedrooms -Stained concrete floors -Enormous back patio -Custom Cabinets -Certified Pure Wellness Home. Located in the beautiful Texas Hill Country this home is currently under construction and will not last long. Let's make this home yours today."